Planning to take online training? Ensure your get the most from the course. 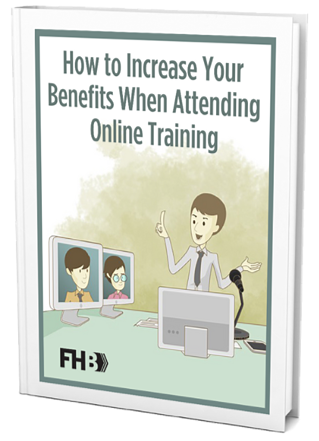 What things can you do to maximize the value you get from your Online Training? CPAs need to continually advance their knowledge. Their are minimums that you must meet on an annual basis. The trouble is, you need to find the right courses, and then invest the time to attend the training. More and more, professionals are turning to online training to take advantage of the convenience of these offerings. This is great, but online training can be fundamentally different than those hosted in a traditional class-room. Our eBook will give you 20 tips to ensure you get the most out of your next online course! Complete the form above and download the eBook now.